Novelties, Favors, Small Toys & More. With 1SuperParty’s locker of party supplies and favors, you’ll be the MVP of your next sports-themed party! 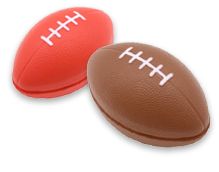 Hit a grand slam with our assortment of baseball goodies, shoot a slam dunk with our basketball-themed party favors, or score a touchdown with our assortment of football supplies. From stick and ball sports fans to auto racing enthusiasts, 1SuperParty has the winning game plan! Shop for supplies, favors, decorations, wholesale items, and everything you need for your sports-themed party at 1SuperParty.